This sepia colored photograph shows the unveiling for the Unknown Kaw Indian Monument in Council Grove, Kansas. 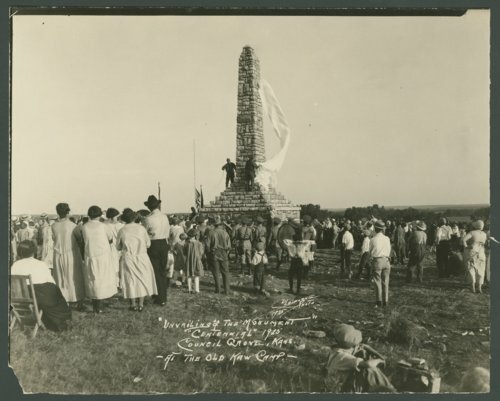 The monument stands on land that was once apart of the Kansa Reservation from 1846 to 1874. At the base of the limestone monument lies the remains of an unknown member of the Kaw Indian tribe.